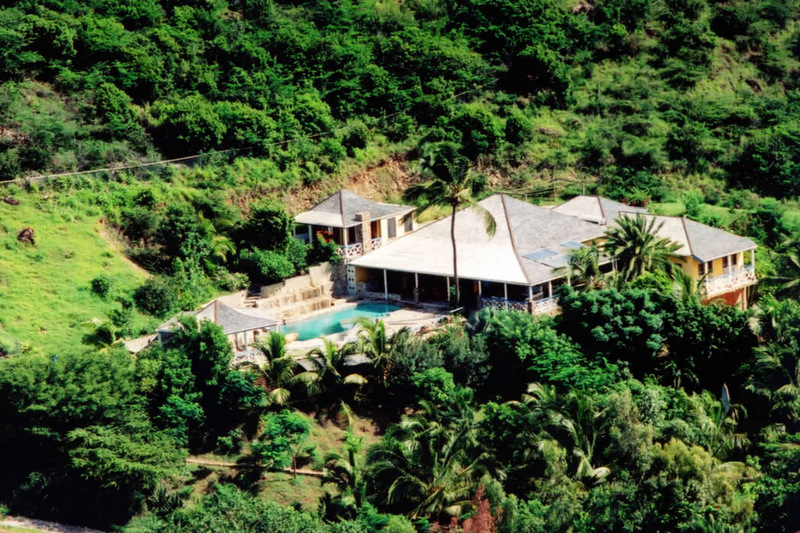 The stunning Caribbean island of Antigua, packed with sandy beaches, is perhaps best enjoyed from your own exclusive villa. 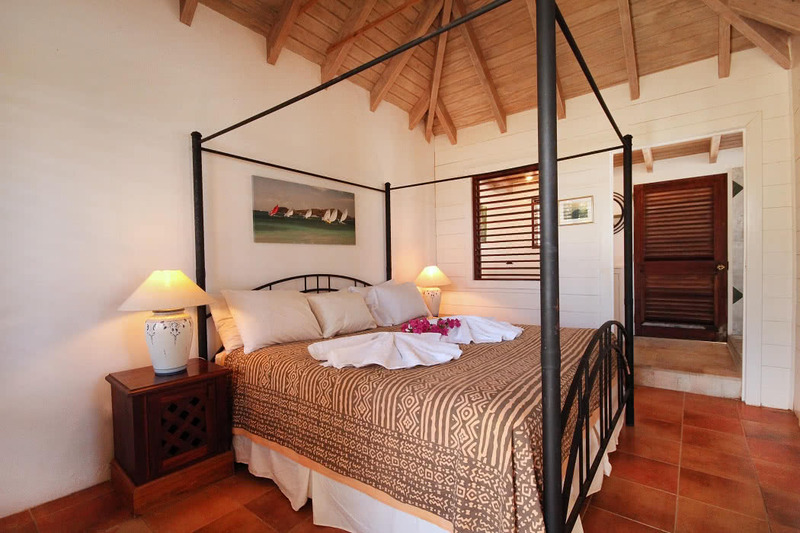 Luxury travellers will love the style and facilities available at The Carib House on Turtle Bay in Antigua. 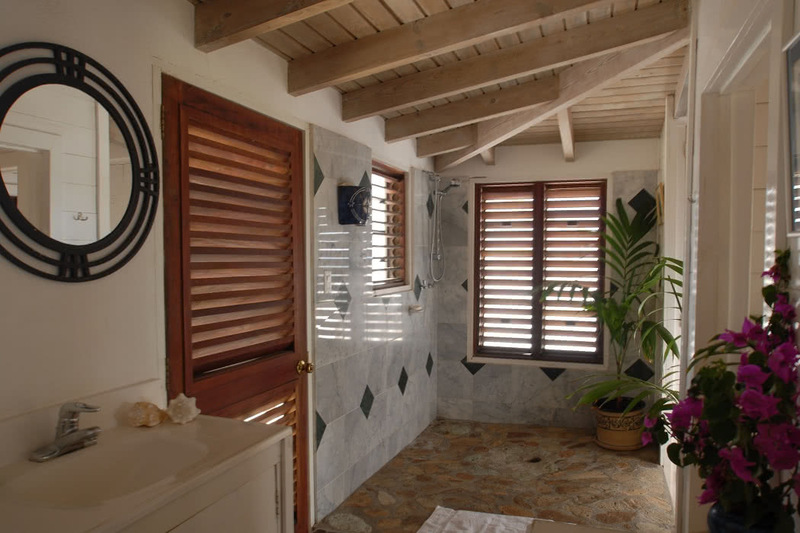 The Carib House is located on the beautiful south coast of Antigua, close to the entrance of Falmouth Harbour and only 5 minutes from the main road. 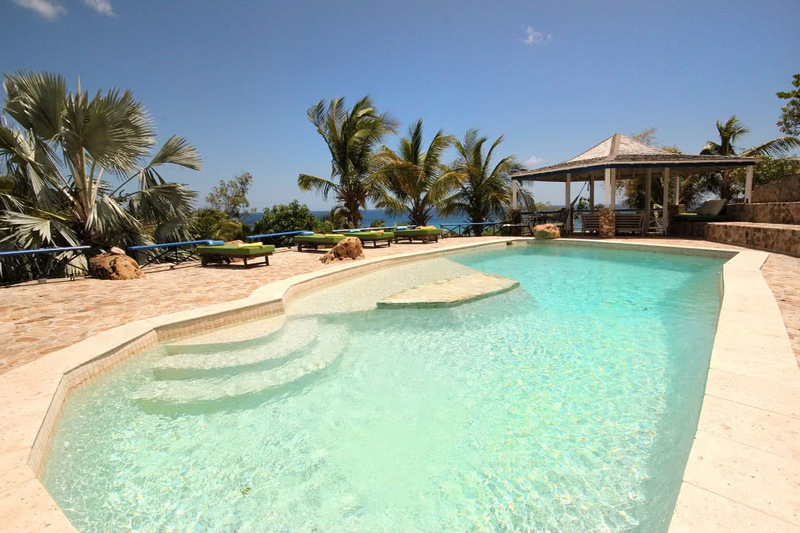 Turtle Bay Beach is a wonderfully remote beach surrounded by one of Antigua’s many coral reefs. The reef protects the beach so it’s perfect for paddling, snorkelling and beach combing. 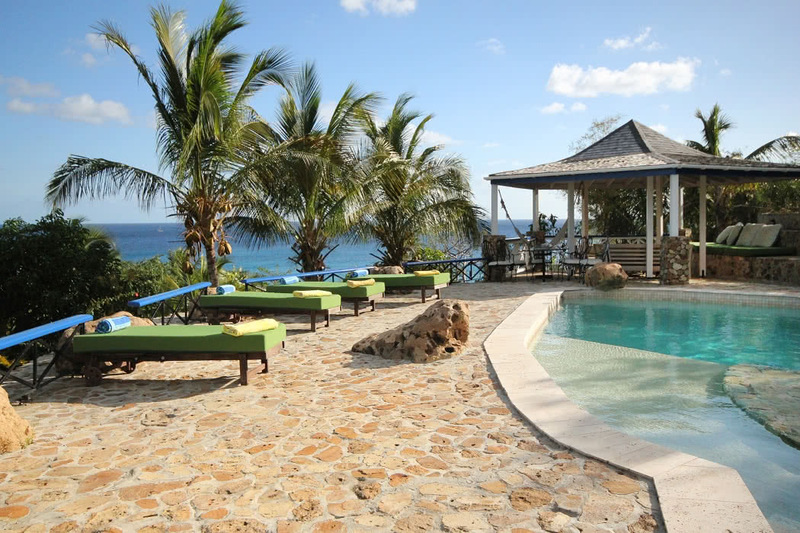 Take an early morning stroll while the children collect shells and pebbles or wander down to watch the sunset with a drink in hand, the views out to both Montserrat and Guadeloupe are breath-taking. Your location makes it the perfect base from which to discover this beautiful isle. And there’s tons to do on Antigua, a lot of which unsurprisingly revolves around those stunning beaches; take a boat excursion, dive, fish, kayak, kite surf, sail, swim with stingrays, windsurf. 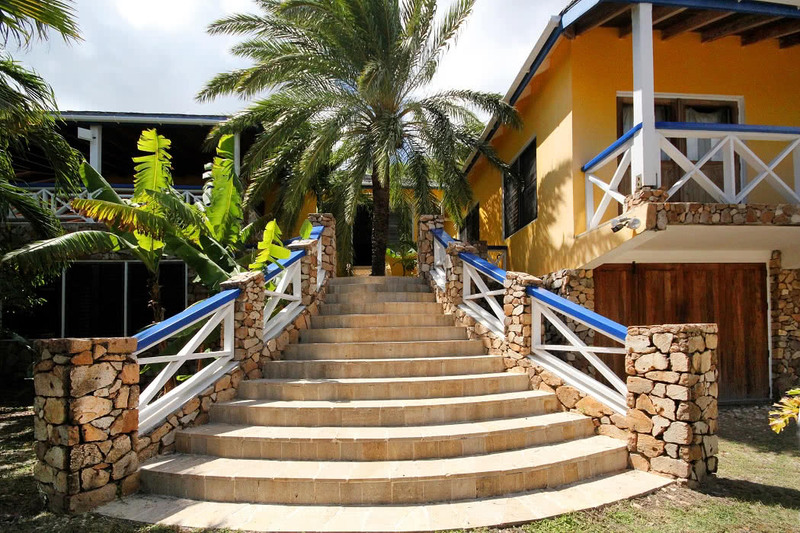 Or, if you’re determined to stay on dry land, you can play cricket, golf, horse ride, tennis, squash, take a buggy tour, do yoga, paintballing, ziplining, shooting; or simply relax and soak up the sunshine. 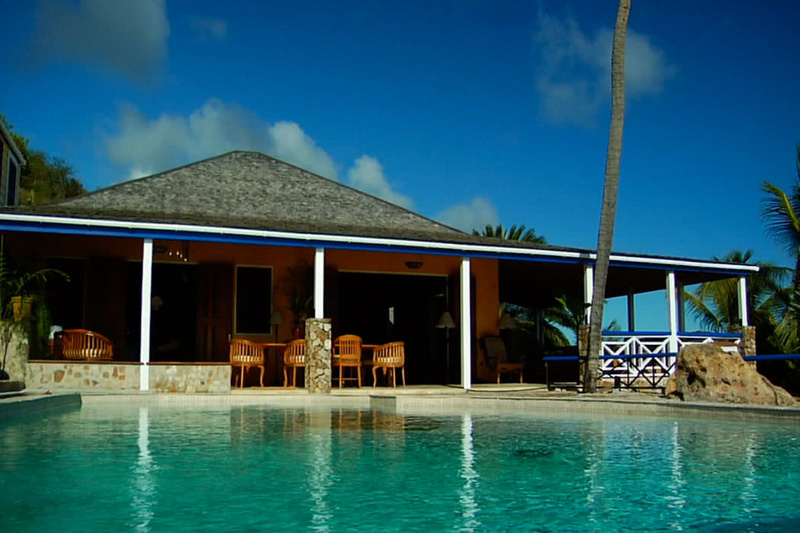 The Carib House is a vast 9,000 square foot property that can accommodate groups of up to 10 guests. 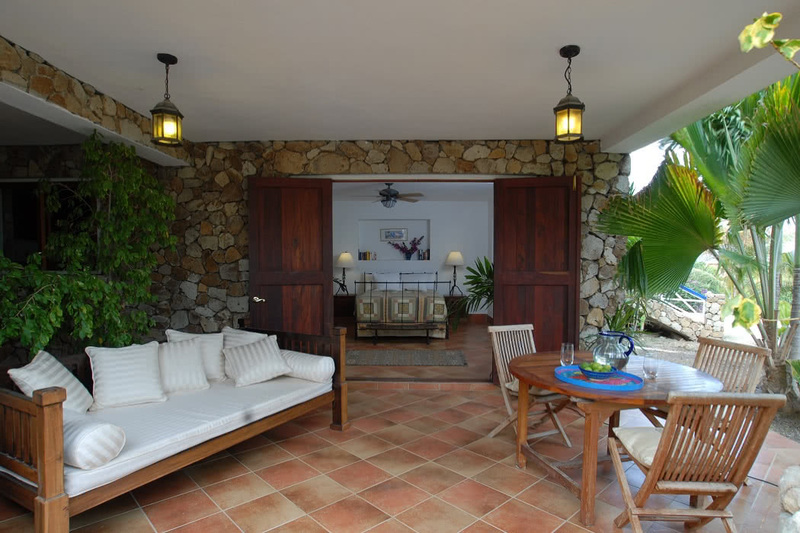 The house itself is a beautiful, airy and luxurious Caribbean colonial style villa. 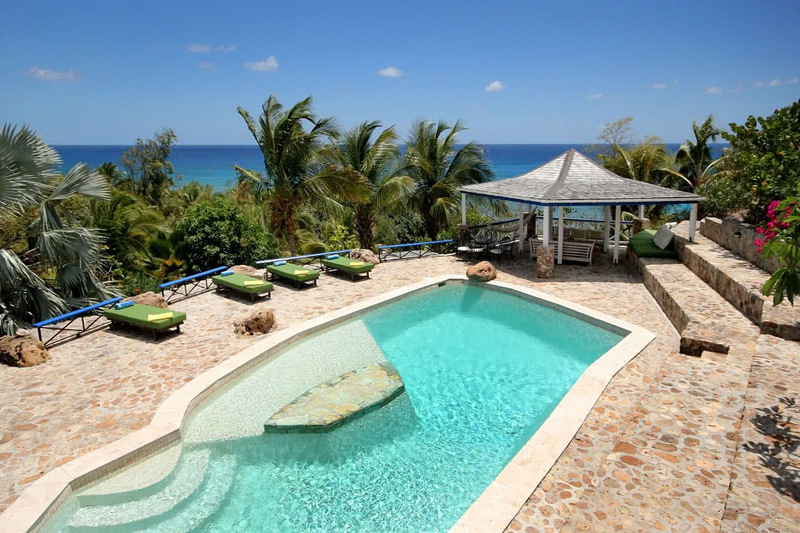 The villa is surrounded by 2 acres of lush, tropical, secluded gardens which include a private terrace patio and a very inviting large swimming pool. Wander down through the gardens and you’ll head straight onto the beach, you can’t get much closer to the Caribbean sands! The living area is open plan and built for socialising and entertaining. The sitting, dining and entertaining spaces adjoin a large gourmet kitchen. There’s a games room area complete with a pool table that can also be used for table tennis. The indoor space flows outside onto the vast terrace where there’s also a large covered dining space. All this makes up over 4,000 square feet of open living space to relax in so there’s always somewhere to lounge with a drink and catch up with family and friends and plenty of places to get a little privacy or a quiet moment or two as well. Your hosts act as concierges and are at your beck and call, they are only too happy to book massages, spa treatments and assist with arranging excursions. You receive complimentary airport transfers and there’s a very friendly and efficient daily maid service too. 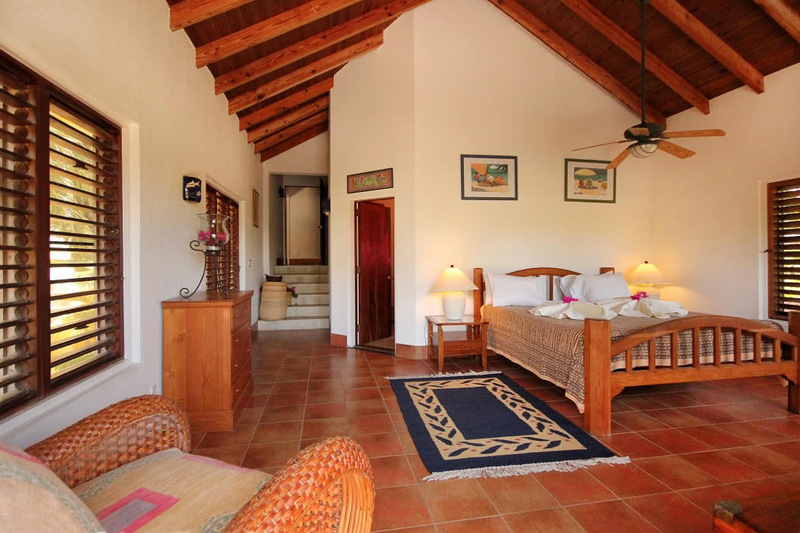 There are 5 spacious bedrooms at the villa; 3 are in the main house, 1 is in a guest cottage and 1 is in a garden apartment. 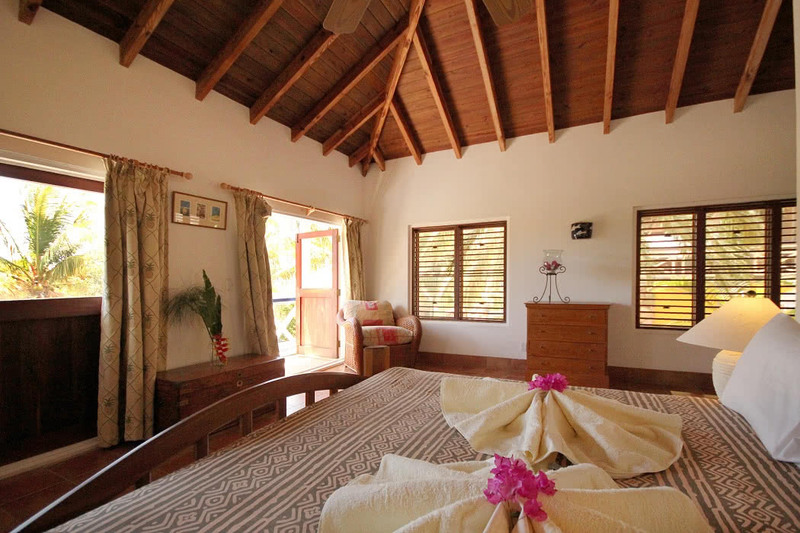 All the rooms benefit from ceiling fans and air conditioning and several are ensuite with balconies to make the most of those sensational ocean views. Within a 10-minute drive you have a choice of over 40 restaurants and bars; ask your hosts for their recommendations. 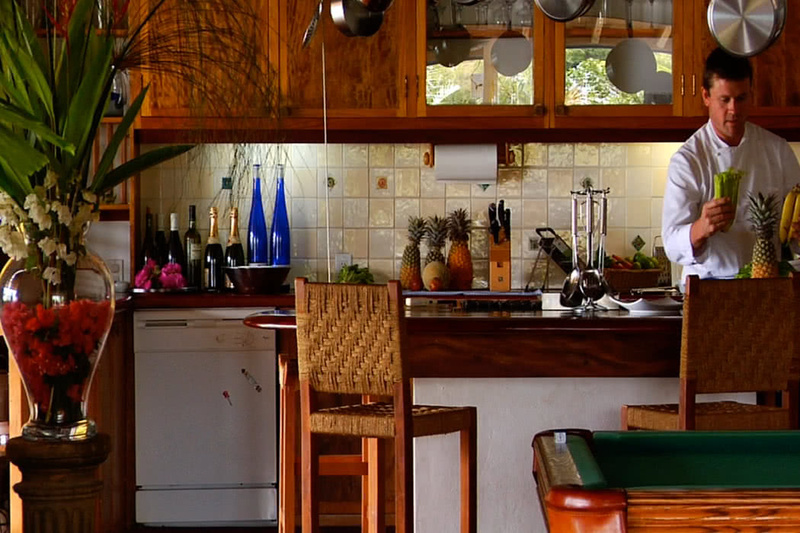 The large, well-equipped kitchen invites self-catering but if you want to be treated (this is a holiday after all!) 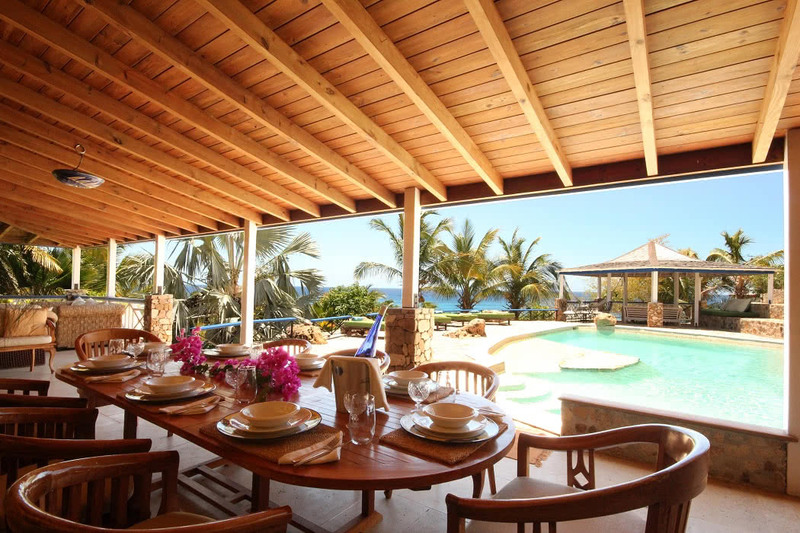 and still relax in the privacy of your villa, your hosts can arrange a chef to cook up a feast for you.